>Life is Good here at the Grand Hyatt Atlanta (in Buckhead) where my husband and I are spending a few days while he participates in a medical meeting. We’re on the 23rd floor with an incredible view… and a nice cozy office for me by the window. When we arrived I set up my laptop and portable printer. And even though I can’t get my wireless mouse to scroll, and I can’t figure out how to turn off the touchpad on the laptop, those are minor inconveniences compared to how good the setup is here. The next morning I ordered a pot of French press coffee to room and settled in for a rainy day of working on my book proposal and revising the recent chapters that had been critiqued by my writing buddies. I got an email from an agent I queried about two months ago, and she requested the full proposal and 60 pages of book chapters, so I spent about 7 hours in my “penthouse” office. Even ordered lunch in. Then about 4 I went down to the fitness center and worked out for 25 minutes on one of their elliptical machines.. which have their own television monitors, so I watched part of a Australian Open tennis match while exercising. After my workout, I stopped by the bar to pick up a drink to take to our room to enjoy while showering and dressing for the evening, Yeah, I could live at the Hyatt. Life up here is Good. And Tuesday night life was good when my husband’s brother, Tod, who lives in nearby Marrietta, picked us up for supper at ESPN Zone… a crazy bar/restaurant for sports fans. It has a huge screen covering most of a wall, with 12 smaller screens, 6 on each side. At the individual tables and booths there are sound controls for whichever event you want to listen to. There are even tv screen in the bathrooms! And down in front of the big screen there’s a row of lazy-boy type recliners with individual food trays and sound controls attached. Yeah, Life is Good at the ESPN Zone. And Life was Good when I got an email from Nikki Hardin at skirt! Magazine saying she wants to publish another of my essays in the March issue. She requested a couple of edits, so I worked on them in my “office” and sent them off to her yesterday as well. I’ll post a reminder with links to the magazine when the March issue comes out in a few weeks. Life was Good last night when my husband and I enjoyed a relaxing time with some of his friends who have been working together on a big clinical trial for the last ten years. 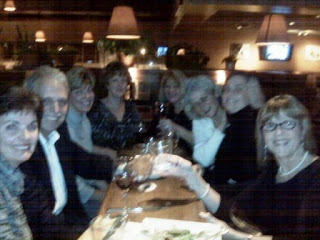 After a nice reception at the Hyatt, a few of us went out for a few drinks and laughs at a nearby microbrewery. This group includes folks from New York, New Jersey, Tennessee and Mississippi. As the work they’ve been doing together for almost a decade draws to a close, the buzz is all about “the next big thing” (the next big clinical trial) but also the fun they’ve had working together all these years. I won’t name names, to protect the innocent, but the laughter was plentiful and the friendships were encouraging to me, the “outsider” in the group. (Not many spouses came to this meeting.) We’re looking forward to dinner at Houston’s tonight… my favorite Memphis restaurant, so we’ll see how the Buckhead Houston’s measures up. But life isn’t always laughter and successes. This morning I woke early with a sore throat and throbbing sinuses. The sun is shining and I was looking forward to getting out and doing some shopping and site seeing, but it’s almost noon and I’m still not feeling up to it. I hate to “waste” a sunny day and the opportunity to get out and around in Buckhead. I keep hoping I’ll feel better as the day goes on, but room service and a movie are sounding more appealing by the minute. So even if I have to be sick, this is a good place to be! A friend just called to let me know that a mutual friend in Memphis is near death… with Hospice care, she probably has 24-48 hours left. Her sweet granddaughter is in town helping with this dear woman’s care. I’ve been there with several family members over the years, and I know it is both the most difficult and most wonderful experience. This wonderful lady has lost her husband and has suffered much in her life, but has never complained. She’s always positive, always hopeful. Yes, if she could speak today, I’m sure that she would say that Life is Good. The friend who called was on her way to a training seminar for writing resumes and doing job interviews. The seminar is part of her severance pay—she and quite a few others at her company were recently laid off. But like our friend who is dying, this friend just doesn’t complain She’s amazingly resilient and thankful for whatever comes her way. Her phone call reminded me to look beyond the comfort of a luxury hotel and even beyond the camaraderie of friends and coworkers. It’s easy for me to say, up here on the 23rd floor… but life is more than book deals and published essays and successful clinical trials. One of the women we went out with last night lost her husband a couple of years ago, but enjoys the blessing of living near her grandchildren. The youngest member of our group recently married his college sweetheart. Throughout the evening we each shared stories of our lives beyond the work world, and it was there—in that circle of humanity—that I realized it even more strongly: Life is Good. >Every time I visit my mother in the nursing home in Jackson, I take time to visit with the facility’s youngest resident, Charles Wilkins Walker. Sadly, Charles is only 55 years old. He appears to have had a stroke, but it could be something else. He uses an electric wheel chair, and his speech is difficult to understand, but his mind seems fairly alert. The last time I was there, Charles said he was having trouble with his remote control and would I come look at it. I went to his room, just down the hall from Mom’s, and there he had a computer, lots of books, television, and shelves of photographs of himself with friends—which must have been taken before whatever tragic event landed him in the nursing home. Radiant smiles are on all the photographs, and the other people in the pictures are attractive, and appear to be active members of society. “Yes, he’s a distant cousin of my husband,” Sissy replied. Now usually when I’m visiting with Charles, it’s hard to include Mom in the conversation for two reasons—for one thing, she can’t understand what he’s saying very well, and she can’t follow the conversation or remember most of the people we’re talking about. So, it’s always a balancing act, to be sure Charles doesn’t “take over” the time and attention I’m trying to give to Mom, but to also be sure I’m spending time with Charles, as he’s bound to be starved for company with folks his/our age. “He was in the insurance business, wasn’t he?” Charles continues, talking about Wirt Yerger. I look at Mom, trying to draw her into the conversation, and she smiles a far-away smile but nods, so I feel that I’m succeeding. “How long was your father in the insurance business?” Charles asks me, and also looks at Mother. The words rolled off her tongue as though she said them several times a day. Dad retired from USF&G in 1982—27 years ago, and yet this information was such a big part of her memory that it’s not lost yet. Interesting how the brain works. She couldn’t remember if she had lunch or not, did physical therapy that day or not, but she could repeat this rather complex name of the company my father worked for so long ago. 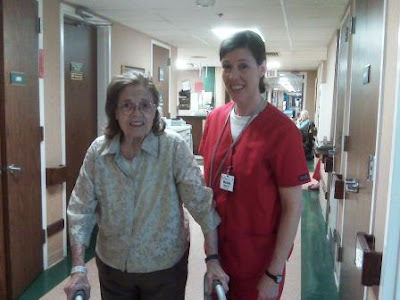 As we walked up and down the halls a few times, as we do each time I visit—Mom “peddling” along with her feet in her wheelchair, me at her side—we ran into Mia, the nurse in charge of her wing. “Your mother is fitting in here perfectly,” were Mia’s words this time, which brought me great comfort. Interesting comment. 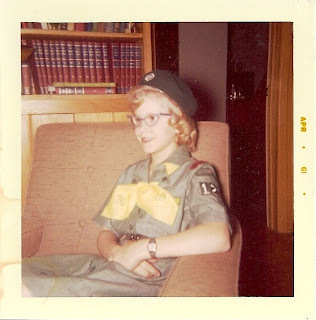 Later Mom told me that she “got into a row” with someone that morning (probably the physical therapist) who wanted her to do something she didn’t want to do… and that later someone else “fussed at her” for not eating her lunch. I found her lunch tray in her room, so she must not have been in the mood to go to the dining room that day. I picked up the aluminum cover off her plate to see the stale French fries and sandwich, mostly untouched. But she seems to have put back on some of the weight she’s lost since she broke her hip 3 ½ months ago, so I’m not worried about her nutrition. And each time I visit I pick up two giant cookies from McAllister’s deli and she inhales them as we visit, so she hasn’t forgotten how to eat! This time when we were leaving, she came up to the front lobby to see us out, and it saddened me to see her watching us go through the doors to my car. 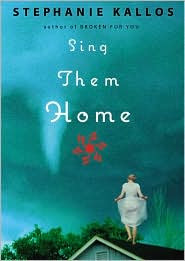 She seemed more aware that someone dear had just left her world, whereas last time I left, she dismissed me as if I was another resident with a room down the hall. As much as I hate Alzheimer’s and what it does to the mind, there are times when it seems to cushion the difficult truths. The truths about all that she has lost—her life partner of almost 50 years, her independence, her physical strength, and significant portions of her mind. And I look at Charles, trapped in a facility for old people because of his physical limitations, and I wonder whose truth is the most difficult. Yeah, reality bites. Women of Saint John—this is the one group that didn’t have a meeting this week. It’s my church’s women’s group, and while there are many committees and activities that flow out of its basic structure, the one “group” I enjoy each month is the one that meets in the home of one of our members for coffee, tea, and a time of teaching led by our pastor. Afterwards the ladies go to lunch. 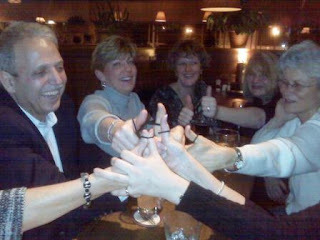 It’s a great way to stay in touch with women of all ages, from all parts of the city. The teaching feeds my soul, and the fellowship feeds my spirit. Saint John Dinner Club (met Sunday night)—organized by a couple of women in our parish, these dinner clubs have been functioning for several years, with the groups changing every six months or so. Our current group has 9 people, marrieds, singles, young and old, from East Memphis to Harbor Town to north Mississippi. My husband and I have often remarked that when it’s time to start up new groups, we feel a sadness at leaving the old one! But we also have strengthened friendships with those folks now, so when we see them at church, our lives are more connected. We know what’s going on in each other’s lives, which increases our love and care for one another. Adoptive Moms (met Monday night)—last April a group of women who have adopted children began meeting each month. Some of the women also have “home-hatched” kids, as one of our group likes to say. But we also have something in common that no one else can understand or relate to, and our support of one another as we try to hold together loving homes for these children who have suffered the loss of their birth families—and sometimes their birth countries—has been invaluable. Amongst the nine women who participate, we have 13 adopted children between the ages of 7 and 31, from five different ethnic groups and four different countries. 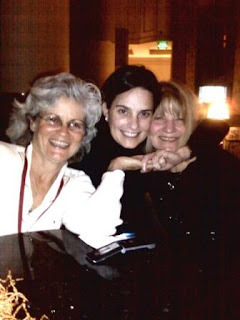 I am extremely grateful for each of these women’s wisdom, love, and friendship. Yoknapatawpha Writers Group (meets Saturday)—since September of 2007 we’ve been meeting monthly, usually in Oxford. The core group is 5 writers who met at a writing workshop at Ole Miss in June of 2007. Several others have come and gone from the group, but the core—the original 5 of us who live in 4 different cities—continue to critique each other’s works-in-progress and encourage each other’s efforts at getting their work published. Friendships have formed during this time, and we find ourselves traveling to workshops and festivals together from time to time, sharing our love of the written word. Memphis Women’s Writers Group (met today)—4 women writers that also meet monthly for critique sessions. This group started up about ten months or so ago, and uses similar critique methods as the Oxford group. We met today, at a Starbucks, and helped each other polish memoir chapters, short stories and poems. Sometimes, like this week when the two writing groups are meeting 2 days apart, I submit the same chapter or essay to each group, and it’s really fun to see the differences and similarities in their critiques. All that to say it does take a village… to raise kids, grow a church, or write a book, essay, novel or poem. And maybe even to grow into a balanced parent, church member or writer! So, even during a busy week like this one when I struggle to find time to write, I can’t image which meeting I would skip—the time spent with each of these folks is valuable. I’ll close with some good news which I received this week from Kathy Rhodes, a writer from Franklin, Tennessee, whom I met at the first Creative Nonfiction Workshop I attended in Oxford in September of 2007. 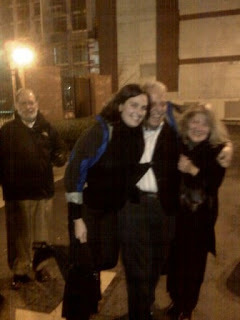 In March of 2008 I participated in a critique session with Kathy at the CNF Conference, again in Oxford. (That’s Kathy and me relaxing after a day of workshopping.) 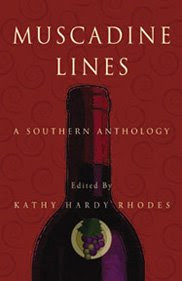 Kathy is editor of an online literary journal called “Muscadine Lines,” and she’s going to publish my essay, “Are These My People?” in the April/May/June issue. I love it that this particular essay will appear in this Southern journal, since it’s about a memorable trip with some of my writing group buddies to the Neshoba County Fair last summer. I’ll post the link to the journal again in April when the issue comes out. 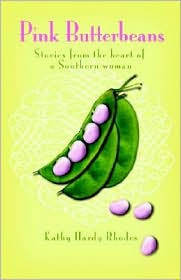 Until then, visit Muscadine Lines and enjoy some colorful Southern stories and essays! Kathy has also edited a print anthology by the same name, which you can order here, and a book called Pink Butterbeans, which you can order here. And I couldn’t help but notice that Kathy is a joiner, like me. She’s a board member of the Tennessee Writers Alliance and President of the Williamson County [Tennessee] Council for the Written Word. And she’s got an essay coming out in the next issue of The Best of Creative Nonfiction due out in July. Congratulations, Kathy! >I feel like a kid writing a paper about “How I Spent My Summer Vacation,” only instead it’s “How We Spent Martin Luther King Day.” It was a federal holiday, so my husband and I headed to Macy’s for the final day of their mattress sale. We usually purchase a new box springs and mattress about every ten years. But 3-4 years ago I led us down the wrong path by insisting we try a Select Comfort Sleep Number® Bed . We went to one of their stores and tried one out (for 5 minutes or so) and it felt wonderful and the concept made sense. But within a few weeks, I was sure it wasn’t working right. My side wouldn’t fill properly with air and my back was hurting from the slump on my side of the bed. Once we realized how bad it was, we were past warranty. Every time we called for help, we got the run-around by the company. What I didn’t know, until tonight, actually, is that lots of other folks have had similar problems. But the bed was expensive so I hung in there until my back couldn’t take it any more. I had read about the Macy’s sale, and off we went on Monday morning. We were greeted by a knowledgeable saleswoman who showed us the full spectrum of what they had to offer. 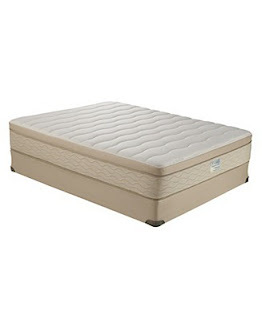 Within thirty minutes or so we had settled on this Sealy Posturepedic PurEmbrace® “Atlantic Cedar” Plush Euro Pillowtop Latex Mattress Set that felt like heaven. I know, I know, it’s also not a conventional bed, but it carries a 10 year warranty, so I think we’re okay. I did a search for complaints about this mattress and found none, and found some positive comments about latex beds in general and Sealy in particular at a mattress blog, so that’s encouraging. The bed will be delivered in a couple of weeks (our choice, due to busy schedule) and I’ll let you know how it’s working! Back home with 2/3 of our Monday left, I continued the ORGANIZE part of my New Year’s Plan by organizing my sweaters into plastic drawers (from Target) and the space between them on my newly uncluttered closet shelves. There’s even space for my favorite small suitcase, for my frequent overnight trips to Jackson. I bought some similar drawers for my husband, who happily got into the organizing plan with me. His closet shelves look great, too! Oh, and last Saturday I finally found the jewelry armoire I’ve been looking for (on the internet a nd at stores) for about a year. This one from Target, which originally cost 79.99 then 59.98… then 39.99. I’m finding myself looking forward to my next project with great joy instead of dreading the work involved, because it’s all making my life so much easier. Other folks seem to have the organization bug… today I got an email from Laura, a friend who is an artist, who just changed her blog address and sent it to me. I checked out her new blog and guess what I found? A post about organizing her studio! Check out her photos and description of how she even organized the fabric she uses in some of her crafts. If this is making you want to get organized, be sure and check out Maryanne Macdonalds web site and her articles in the Commercial Appeal. 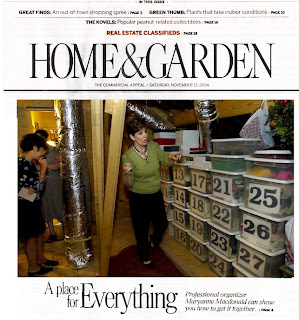 When I saw this picture and read about Maryanne’s plan for organizing attics it made me want to number the boxes my daughter organized in our attic and make an inventory list so I don’t have to search for things up there in the heat of the summer or the freezing cold nights of winter! But I can tell I’m going to have to avoid the temptation to obsess over any one area, or the rest of the house will never get organized! 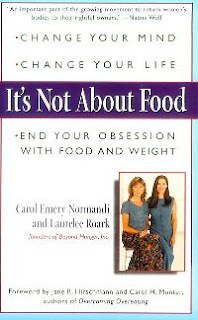 Thanks to Sandi and Laura for their blogs and comments… I’d love to hear from others who are having success getting organized in 2009! 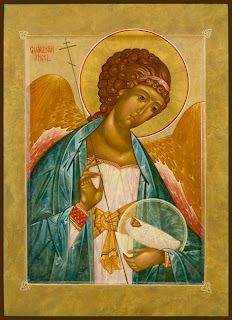 >I’ve painted several icons of angels over the years, (none of the images in this post are mine, however) and I’ve tried to cultivate a relationship with my own guardian angel, praying to him from time to time, but not very faithfully. So, when I heard that Joshua Armitage, a seminary graduate who works at St. John, was going to be teaching on angels on Wednesday nights, I was eager to hear what he had to say. Night One did not disappoint. You see, on Wednesday nights at St. John Orthodox Church (some of the photos here are out of date, but at least you can see the schedule of events and directions to the church here in midtown Memphis… but the 2007 icon workshop is obviously over, as is the 2008 class) we have Vespers early, at 5:30 p.m., followed by a fasting meal (no meat or dairy on Wednesdays and Fridays) and a time of teaching. It’s all over by 8 p.m., very do-able on a school/work night. 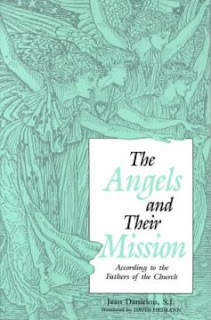 Joshua used The Angels and Their Mission by Jean Danielou and David Heimann as one of the sources for his talk. He was quick to say that he didn’t like the book’s cover, with its Victorian representation of feminine-looking angels “with flappy gowns” that don’t inspire strength and courage. This is one reason I know I’ll be picky about book covers for my own books, if they ever make it to press, but sometimes writers don’t have much control over this. 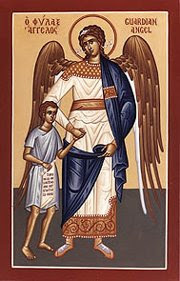 In Orthodox icons, angels appear as protectors, like Holy Archangel Michael with his sword. 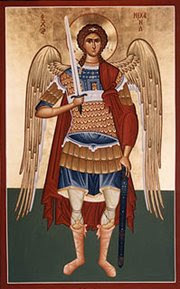 Or Holy Archangel Gabriel with his spear. Or actually holding and protecting a person’s soul, represented by the small swaddled being in the angel’s arms. 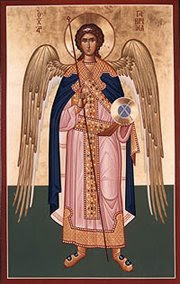 Angels are bodiless, so however we represent them, unless we’ve seen them ourselves (and I know some people have) we can only depend upon descriptions of the forms they have taken when they’ve appeared in Holy Scriptures or other sources of Orthodox tradition. So, last night Joshua gave the first of a series of talks about angels, beginning by saying that “real knowledge about the unseen world comes from experience, not from a venue like this—a lecture hall or a classroom.” So, right up front, we know this is a mystical topic, as much of Orthodox theology is. This emphasis on the “unseen,” as Joshua went on to say, was passed on from the Jews to the early Christians, and was especially taught by the apostles, who wrote about the angels in at least the following places in Holy Scriptures: Romans 8:38; Ephesians 1:18-23; Colossians 1:15-17; Hebrews 1;1-14; and Hebrews 2:1-4. Josh divided up his talks on the activity of the angels into three arenas: Heavenly, Cosmic and Earthly. Last night he dealt mainly with their Earthly activity, as messengers, guardians, patrons and God’s avengers. He explained that because angels are in a realm that is richer and deeper than our own-the unseen world—it is their task to lead us to true knowledge of God. Each of us has our own Guardian Angel, but each nation also has a guardian angel. The unseen world isn’t all good, though… Satan and his demons are still there, or as Josh put it last night, “The Devil and his shadow government.” Shadow government—what a great image of Satan’s realm. Josh said that each government also has a “patron demon” who works to destroy the angel’s work. The abbess of a woman’s monastery that I’ve visited over the years once told me that monastics have two guardian angels assigned to them, because of how devoted they are to the spiritual life, and how much more fierce their spiritual warfare was. (I don’t remember if she also said that monks and nuns have two demons assigned to them or not, but that would seem to follow….) Anyway, during the years that I was more intensely seeking to live in that realm, praying more, spending more time at the monastery each year, and chasing down my own demons with greater vigor, she told me that she believed I also had two guardian angels, at least while I was at the monastery. I never asked her if one of them stayed behind when I went back out “into the world.” I hope not, because I really have a hard time believing that the struggles of lay persons living outside the monastery are less than those of the monastics within. Different, but not less. But what do I know? I’d love to hear from my readers on this subject—your own personal experiences with angels or spiritual warfare, other good books/sources on the subject, etc. Please leave a comment (click comment, below) or send me an email and let me know if it’s okay to publish it. I hope to post about angels weekly while Josh is giving the talks… except that I’ll miss the one on January 28, as I’ll be out of town. Maybe someone else will pick up the thread and send me an email to use as a guest post that week! Organize—the Closet was done last Tuesday, and on Saturday I completed The Office. Well, like The Closet, I only organized HALF of The Office. My half. I share an office with a genius. Need I say more? Oh, before I continue, I must say that the first time I did laundry after organizing The Closet, I couldn’t believe how much easier it was. For example, as I pulled a black knit top from the stack of clothes I was folding on our bed, I carried it to the closet and voila! There was its very own empty shirt hanger, waiting in the middle of the other black tops. No scrunching the clothes together to make room. No searching for a hanger. And as I opened my drawers to put away folded items, there was actually room in the drawers, now that the sweaters are all folded neatly on the shelves in The Closet. Ahhhhh. But back to The Office. The main problem areas were the stacks of stuff that had “grown” in the middle of the room over the past few months… some of it I had brought from my mother’s apartment in Jackson, and some accumulated while searching for addresses for Christmas cards. The rest was mostly writing stuff—craft magazines and folders from critique group meetings—all things needing their own place in this tiny shared space. The other problem area was the tall skinny shelves by the printer. You can’t really tell how bad these spaces were by the pictures. The point is, I had no work space and it took me forever to find things when I needed them. Until NOW. First I took a large plastic bin and filled it with all my VISA receipts since 2002…which were in various shoe boxes and envelopes throughout the office. Before closing it, I asked my husband if he wanted to add his receipts, to clear more space in his side of the office, and he quickly pulled them from file drawers by his desk and added them to the box. I labeled it and placed it at the bottom of the stairs for its trip to the attic later. Then I got a second large plastic bin and filled it with miscellaneous photographs that aren’t (yet) in albums. Some of these were in the office, and others were in the master bedroom, so this step also helped me towards my next bedroom organizing project—the shelves by my bureau. Hubby took both bins to the attic later, and we found a place for them beside the twenty-something bins my daughter organized up there over the holidays. Two large cans were filled with trash, and in three hours the space was organized and functional. It’s not perfect—my computer desk sits in a space that used to be a closet, but at least there are nice shelves above it. And the files in our office and laundry room both need to be gone through, but that’s a bigger project than 3-4 hours, so I’ll save it for a weekend when I can get hubby to help. I’m thinking we’ve got a free weekend in 2010, but I’m not sure…. Exercise—I made it to the gym and worked out on the elliptical machine 3 times in the past five days! I’m scheduling only 3X week, but I hope to expand it to 4 or 5 eventually. But work on the book is such a long-term process, that sometimes I need a “quick fix,” so today I drafted an essay to submit to a magazine that has published several of my pieces in the past. I think the personal essay is my favorite genre of writing. It just doesn’t feel like “work” when I’m writing an essay. I’ll polish it a little more over the next few days (when I take breaks from the book) and send it in…. I’ll let you know if it’s published! Other “work” that needed tending finally made it to the top of the pile that had grown on my workspace in front of my computer during the holidays—follow ups on email queries to a few agents, gathering information and registering for an upcoming conference, and prioritizing two essay contests with deadlines in the next couple of months. Oh, and this weekend I finally tested some of new “portable office” gadgets that I got for Christmas. Beth gave me this terrific green wireless mouse for my laptop… it uses a jump-drive thingy instead of something with another cord to get in the way. And I got this precious mouse pad with the cute kitty on it. And for traveling, hubby gave me this small, lightweight printer, so I hooked it all up and did a test-run in the den on Sunday evening. It all works great, so I’m ready to hit the road. On ly thing is, I’m happy to be home for a while! It felt so peaceful in my office today that Oreo (my cat) decided to join me for a while. We both enjoyed the sunshine coming in from the back yard, which finally lured me out to the gym and the grocery store late this afternoon. But you know what? I’m really looking forward to spending more time in The Office tomorrow. It’s peaceful here. Next week I think I’ll conquer the chaos in the laundry room… or maybe the guest room closet… or maybe the bedroom shelves and drawers….. Stay tuned. >I’ve been writing about my mother for over a year now. She’s almost eighty-one, and has had a diagnosis of Alzheimer’s for several years. After my father died in 1998, I began to visit her (in Jackson, Mississippi) more frequently, and eventually began doing her taxes and other bookkeeping. Thankfully, while she was still thinking clearly, she made me Durable Power of Attorney and put my name on her bank account and investment account, so that I could manage everything for her more smoothly. Several people who are just beginning to take care of aging parents have asked me about various aspects, and this is one thing I strongly recommend, if the parent(s) are open to it. Especially where Alzheimer’s is concerned. When I moved mother to an assisted living home in February of 2006, I took her to the bank first and we opened a second joint checking account. I gave her a debit card and a checkbook for this account only, and I put $200 in it, so she could have a little money when the shuttle took her to the drug store or other errands. By watching her account online, I could transfer money from her main account whenever she needed it. All her bills have been coming to me in Memphis (or automatically drafted from her account) for the past three years, which makes the financial end of things fairly simple. If only the physical, mental and emotional aspects were so easy! “Yesterday your Mom got up on the wrong side of the bed. She was grumpy and wouldn’t cooperate with me at all, and even snapped at me angrily. Another resident who was in the PT room at the same time noticed her behavior, and later I saw them talking in the hallway, their wheelchairs side by side. What amazed me about this is that I don’t ever remember Mom acknowledging her own meanness, and there was plenty of it over the years. She’s always related on a superficial level, at least with me. She’s always given the appearance of being in control of her emotions. When I told a friend about this, she said maybe it’s too painful for my mother to be in touch with her feelings, so she’s always coped with this superficial personality. I think there’s some truth to that. When I was growing up, she was always either extremely cheerful or bitingly critical, nothing in between. (I think I have those same tendencies, and have to work on just being real.) Her father was overly strict, and I even suspect he might have abused her, as he did me, when I was very young. The sins of the fathers…. After a few minutes, Marzelle found us and asked Mom if she wanted to show me how much progress she’s making with her walking. She brought the walker into the room and helped Mom to her feet. Out in the hall, she took a few steps (see photo) and then pushed the walker away and said, “Someone else can have a turn now.” She started to walk on her own (which her hip can’t sustain yet) and Marzelle caught her and put her hands back on the walker. “I can walk whenver I want to!” Mom exclaimed. She still has no idea that she broke her hip or needs help. Later we meet up with Charles, the fifty-something man who is in the nursing home because of a stroke…. His mind is clear and he rides around in a motorized wheelchair, but his speech is difficult to understand. “My computer is broken,” I finally understand him to say, as he and Mom and I are visiting in the hall near the door to his room, which is full of books, a TV, desk, computer and lots of photos of him with friends. It saddens me that he’s stuck in a nursing home, his mind trapped in a body that won’t work. I always try to visit with Charles each time I’m there. Mom starts waving her hands around in the air, and then points with her index finger as though she’s pushing an imaginary keyboard and says, “Well, when you get old like us, you just have to keep pushing all the buttons until one works.” Charles and I exchanged looks, smiled, and then broke out laughing. You just have to laugh. Later we go out onto the patio (it’s 70 degrees on January 9!) where it’s sunny and the birds are at the feeders and there’s a nice breeze. Mom begins to point to the doors to each wing that opens onto the patio—the dining room, the physical therapy room, and the doors to the main lobby. “Oh… sometimes there’s coffee, but they’re still working on that part….” And then she looks at her hands and points to her fingernails and adds, “And I’ve been trying to get them all even but I don’t want to paint them right now so I keep telling them just to keep them even.” Her nails are a nice length, obviously clipped and filed recently. Her hair is shoulder-length, for the first time in probably about fifty years. The beautician at the nursing home will cut and perm Mom’s hair, if she will let her. About then the Director of Social Services and another woman who works in the front office come out onto the patio for a smoke. They are sitting on a bench near the back side of the patio, and Mom starts “paddling” (making the wheelchair go with her feet) towards them, so I follow along beside her. “Hi Miss Effie,” they reply. “This is my daughter.” Of course they already know me, since I’ve been there almost weekly for the past three months. “She doesn’t come to see me very often.” My inner child wants to say, “Oh, yes I do, Mom! I’m a Good Daughter!” But I just smile and we keep moving. A group of residents has gathered around a nearby table with the perky recreational director bringing in a short basketball goal and ball and starts getting some of them to play. “Do you want to go and visit with them, Mom?” I ask. In the past, whenever I would be leaving her, she would protest a bit, saying, “Oh, do you have to go already?” But this time, she just waved her hand in the air and said, “I’ll see you in a little while. I’ve got to take care of something else right now.” And there she was, off to try and figure out how to push the right buttons….